Are you interested in getting into the franchise business, but need a loan to help finance your new venture? Consider applying for the Small Business Administration (SBA) 7a loan. The SBA 7 (a) program is the SBA loan guaranty program for small businesses. The program is designed to help small businesses with good credit get financing at reasonable terms when they otherwise wouldn’t be able to. With this type of loan, the SBA does not provide the actual funds; instead it guarantees a portion of the lender’s loan if the lender meets certain requirements. How it works is that if the borrower defaults, the SBA pays off the guaranteed portion of the remaining loan balance. SBA loans can be little difficult to get, but they offer good terms, low interest rates up to 10% and repayment terms up to 25 years. SBA 7(a) loans are the most common type of SBA loan for a small business franchise and they go up to $5 million. They can be used for working capital, to refinance debt or to buy a business, real estate or equipment. With their long repayment terms and low interest rates these loans are the most popular for new franchisees. Minimum requirements include at least a 680 credit score, a 10-20% down payment and some collateral. Keep in mind that while the SBA will not necessarily refuse to guarantee a loan that is not backed by sufficient collateral, it will be more likely to approve the loan if it does have sufficient collateral. Lenders are also looking for business owners who have a strong business plan and sufficient experience to be successful in their new enterprise. Typically you will need to provide financial projections for your business for the next three to five years. The SBA Express Loan and the SBA Advantage Loan are both part of the 7(a) loan program. Because the standard SBA 7(a) loan can take while to be processed and approved, the SBA also offers the SBA Express Loan Program which guarantees you a response to your application within 36 hours. Of course, getting the actual funds will take longer than that. The guidelines for this express loan is similar to the standard 7(a) loan, however, the maximum amount of money you can borrow if $350,000 and the interest rates may be higher. You can also choose to apply for a SBA 7(a) Advantage Loan also known as the Community Advantage Loan. These loans are designed for borrowers who meet the SBA eligibility criteria, but who unfortunately don’t qualify for the standard SBA 7(a) loan due to low revenues, low collateral or other concerns. These loans have an expedited application process like the SBA Express Loan. With this loan, they will guarantee 85 percent of loans up to $250,000. The CDC/SBA 504 loan program is for small businesses who want to buy or build owner-occupied commercial real estate. A borrower is paired up with two lenders, a traditional lender and a CDC (Community Development Corporation). Typically the bank will lend up to 50 percent and the CDC up to 40 percent. The borrower is responsible for the last 10 percent in the form of a cash down payment. The borrowing business owner must occupy at least 51 percent of the commercial space and they must be a for-profit business. Interest rates are typically 5.04 to 5.32% and loan amounts are available up to $14 to $20 million dollars. The borrower is expected to repay the loan in 10 to 20 years depending on the terms of their particular loan. Like with the SBA 7(a) loan, you will need to meet certain requirements to apply for this loan. Again you must have a credit score of at least 680 and you will need to prove that you cannot get the funds from any other sources. You must also not have an investment in rental real estate and your net worth must be less than $15 million. Under its CAPLines program, the SBA offers four loans or lines of credits designed to lend up to $5 million to help small businesses with short term needs. This program is more geared towards small businesses who just need a revolving line of credit. Interest rates are typically 7.50 to 10 percent. Seasonal, Working Capital & Contract CAPLines need to be repaid usually within 10 years while Builders CAPLines need to be repaid within 5 years. There are also other SBA loans for small businesses, but they have more specific focus. SBA Export Loans are for American small business who are looking to expand their export activities and international business relationships. And the SBA Disaster Loans are specifically for small businesses trying to recover from a declared physical or economic disaster. Borrowers need to provide evidence of the negative impact on their business. The SBA microloan program is also good for small businesses, particularly for food truck financing. With this loan program, the SBA provides funds to nonprofit community-based organizations who then lend to the money to eligible borrowers. Microloans have a shorter repayment period, up to 6 years. One of the most important things you will need to remember is that you actually don’t go to the SBA directly for the loan. 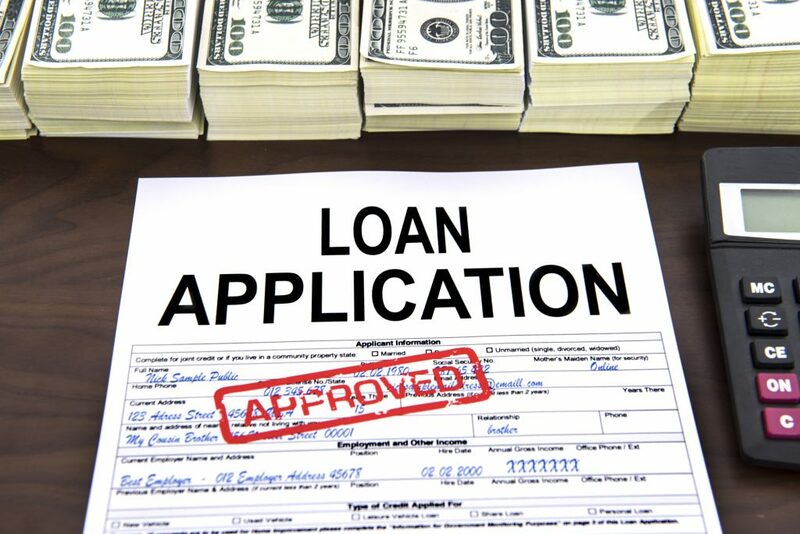 You need to find a lender who will provide the loan and process your application for you. It will be the lender who sets the credit requirements and determines your eligibility so the results could vary a little, vendor to vendor. Does it offer the SBA program I need? How much can I borrow? Is it too high or low for what I really need? What are the interest rates? While the SBA caps its interest rates usually around 9%, it can vary a little between lenders so be aware of what you are exactly agreeing to. Is it an SBA Preferred Lender? How much and what kind of collateral will I need to provide? How is their customer service? Is it easy to get your questions and concerns addressed? How long will it take for your application to go through and the money in your hand? For more information about SBA Loans and franchise financing opportunities, visit the Small Business Administration here. For more information about restaurant franchise opportunities, visit Zac’s Burgers website or give them a call today.